SUPER SOFT & FUN DESIGN – Super soft Twin sized sheet set includes (1) Fitted sheet 39″ inch x 75″ inch, (1) Flat sheet 66″ inch x 96″ inch, (1) standard pillow case 20″ inch x 30″ inch. 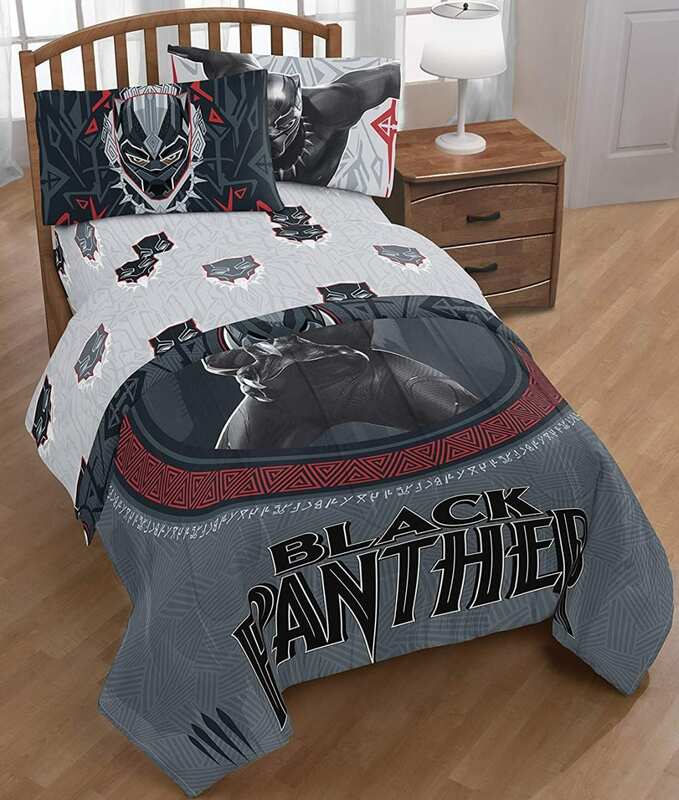 With it’s vibrant colors and cozy feel, this Black Panther Wakanda Twin sheet set is sure to make bedtime fun. Bedding features your favorite Avenger, Black Panther.